For some time MSF has requested Nutriset to establish a more flexible licensing policy. General intellectual property principles were agreed among participants at a workshop on ‘Ready To Use Food Production and Use’ in Rome in 2007.1 In our conversations with you earlier this year you indicated that Nutriset was willing to publish and communicate its voluntary licensing policy and key licensing terms. The need for humanitarian nutritional products is vast. These products will need to be of good quality and at the lowest possible cost. There needs to be more than one world wide supplier to ensure a secure supply chain at all times and allow for surge capacity for large nutritional emergencies. The intellectual property pertaining to nutritional products of a humanitarian nature must therefore be handled differently from that pertaining to commercial products. As you know, we believe that, in the humanitarian field of nutrition, patents should be filed only on an exceptional basis, and when they exist, licensing agreements should be offered to third parties on flexible terms and conditions, so as to ensure the widest possible availability of nutritional products of a humanitarian nature. We have become aware of a letter that you sent to Compact, another well established producer of food products for humanitarian use, on October 29, 2009 and circulated widely, which appears to contradict this policy. The letter refers to your patent in Kenya and threatens Compact with legal action if they fail to stop the supply of RUTF to Kenya. In addition, you have demanded that they cease to store products in Denmark and Kenya for onward transmission to other countries in Africa. These demands amount to an attempt to block the supply of RUTF by reliance on your intellectual property rights. You seek to use patent rights in countries of transit and storage to prevent supply even where there is no patent in the export and destination country. Such a demand creates additional and unnecessary trade barriers that can impact affordability and availability as it may force suppliers to take potentially more expensive transit routes which may cause considerable delay in procurement activities. In addition adequate storage facilities are not available in a number of countries. The issue of seeking to use patent rights in transit countries to prevent the trade in lifesaving products has recent been under scrutiny because of the detention of generic medicines transiting through various European countries under EU wide customs regulations. 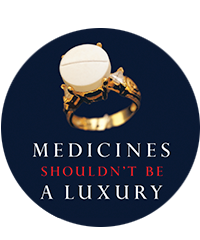 MSF has condemned those detentions, and considers that such actions breach fundamental commitments to ensure access to medicines contained in the TRIPS agreement.2,3 India, one of the exporting countries, has stated that it will make the issue a subject of a complaint to the World Trade Organisation. Even the commercial entities involved have themselves recognised that it is not appropriate practice. MSF considers that threatening to use patent rights in transit countries is equally unacceptable in relation to RUTF, and is clearly inconsistent with a humanitarian licensing policy. Finally, I would like to point out that in your letter to Compact you are confusing allegations of patent infringement with counterfeiting. Counterfeiting is a trademark infringement, e.g. of a Nutriset brand name, which is different from patent infringement. We are not aware of any cases of counterfeiting of Nutriset products. Nutriset has been asked repeatedly by us and others for simple, reasonable licensing terms for legitimate producers. We are still waiting for such terms to be made available. Instead it appears that you have decided to adopt a policy of aggressive protection of your patents that could be considered an abuse in relation to humanitarian products. In other areas such aggressive use of patents has lead to challenges to the patent or Government action to remove patent barriers to production or supply. We ask you to urgently revise your intellectual property strategy.